Formulated with the highest concentration of plant-derived Phyto-Pigments combined with cold-pressed oils and a fruit stem cell serum. Lays down the intense, vivid pigment of a lip stain and achieves a high-shine finish without feeling tacky or drying. Moisturizing and conditioning, with a comfortable finish. Doe-foot applicator delivers color smoothly and evenly. 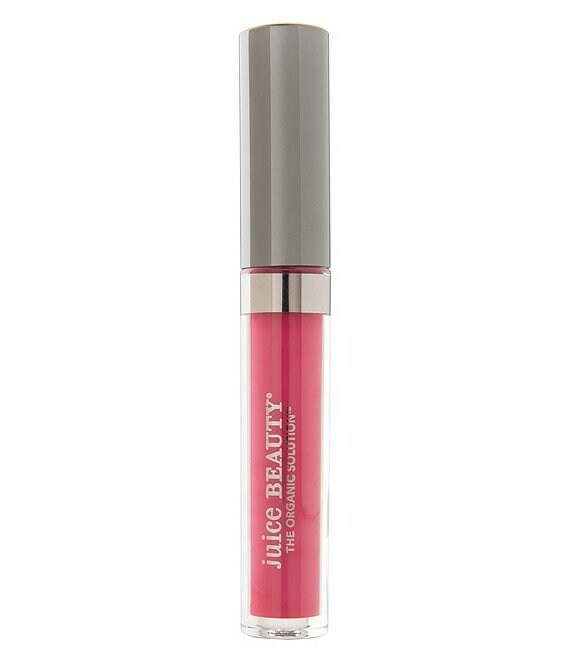 Contains the Juice Beauty exclusive Moisture Powder Blend (vegetable glycerin, jojoba and phospholipids) to increase skin hydration and the Juice Beauty Phyto-Pigments exclusive blend of cape lilac and coccinia gourd. How to Use: Lips must be bare to ensure optimal coverage. Apply using the easy-to-use flexible doe foot and allow to set.